This week we drive the MINI Cooper S Countryman ALL4. See why the bigger MINI Countryman is better. Do you want the excitement of driving a MINI but need, extra passenger and cargo space? 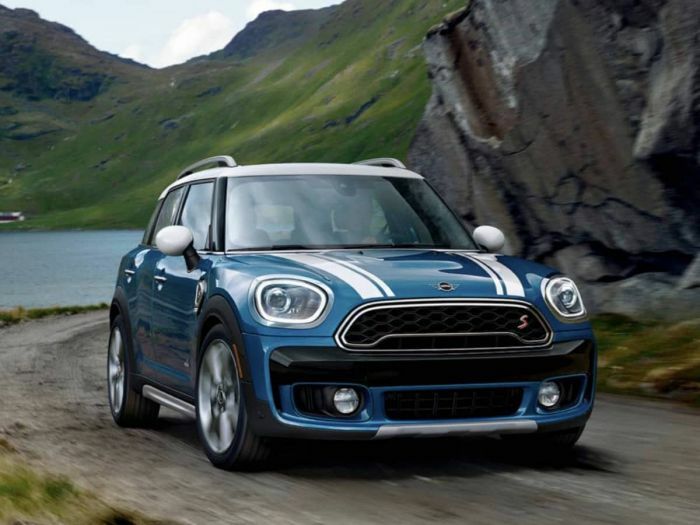 The 2019 MINI Cooper S Countryman takes the best of what its siblings offer in a package that delivers sporty performance and makes it easy to live with. Yes, we think the bigger MINI Countryman is better. Here’s why. For the 2019 model year, the MINI Cooper S Countryman ALL4 gets revamped trim structure and altered standard and optional equipment availability. 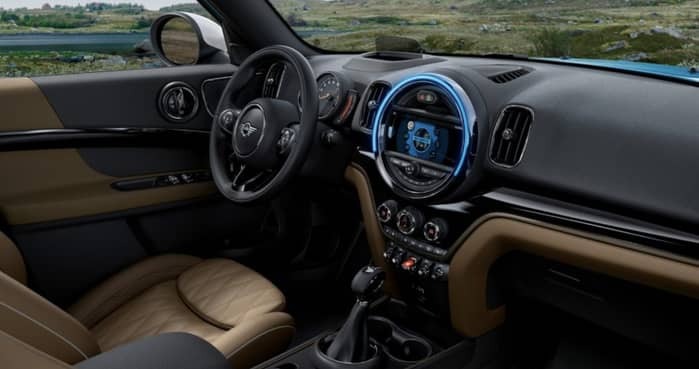 The 2019 MINI Cooper S Countryman ALL4 ($31,400) gets the more powerful 2.0-liter four-cylinder engine, seating for five, panoramic sunroof, automatic headlights, a 8.8-inch infotainment screen, rearview camera, and rear parking sensors. Cooper ALL4 adds all-wheel drive and heated seats. Cooper S also comes with LED headlights and foglamps, sport seats, and 18-inch wheels. Options on this Cooper S Countryman included the Iconic Trim with features like powerliftgate, power heated LED foglights, LED headlights, harman/kardon premium sound, and head-up display ($9,000), and Driver Assistance package ($1,250). Total MSRP including destination: $43,715. The Countryman cabin is well laid-out, comfortable, and it's bigger than the previous-generation model. The extra length makes it easy for four adults to ride comfortably, but three in the back will be tight. The first thing we noticed was the tall windows and narrow pillars making it easy to see out of the compact Countryman. There’s lots of soft-touch plastic surfaces and materials excel in quality, in a cabin that’s carefully furnished and finished. The dash is typically MINI featuring a large circular panel in the center that functions as a hub for most operations, though several, like the engine start, are controlled by toggle switches.The 8.8-inch touchscreen displays maps, and the navigation which came standard on this tester. The MINI cabin is geared towards a youthful audience and comes with overblown instruments, and disco-like lighting effects around the center panel. But the cabin is cleaner than previous models and the panoramic sunroof opens up the interior and gives it an airy feeling. The leather sports seats are comfortable enough, and supportive for spirited driving. The MINI Cooper S Countryman is powered by a larger 2.0-liter four-cylinder turbo engine cranking out 189 horsepower and 207 lb-ft. of torque. Our tester came mated to an 8-speed automatic transmission. EPA fuel mileage estimates are 22/31 city/highway mpg and 26 combined mpg with all-wheel drive. To get optimum performance, the turbo engine does take premium unleaded fuel. The reason to buy a MINI is it’s superior driving dynamics, and the Cooper S Countryman is a driving enthusiasts dream if you are looking for a small hatch. This vehicle handles like its siblings and is high on the fun-to-drive meter for sure. It features a relatively stiff chassis and a sport-tuned suspension that translates to a superior driving experience. Even though this model has grown in size, it still offers up a satisfying dish of fun for driving enthusiasts. We pushed the Countryman hard through repeated curves in the tight mountain curves west of Denver, and the small crossover stayed firmly planted without much body lean. The 2.0-liter turbo engine has enough power to have some fun at altitude in the mountains. With the 8-speed automatic, there is some lag when you stand on the gas, but it soon gathers momentum with a rewarding power surge. The more sophisticated suspension offers up a ride that's relatively smooth on the dirt roads leading to our house, and it has a less choppy ride on the highway. In the city, the Countryman S is a joy to drive as it’s small size made it easy to navigate narrow streets in The Highlands in west Denver and its easy to fit in a small parking space. We wished we had the 6-speed manual gearbox, but the 8-speed automatic is a fun ride too. We loved the optional head-up display, and offers the ability to keep your eyes on the road instead of constantly looking down at the speedometer. It’s a wonderful thing to have, but the cost may be prohibitive. The 2019 MINI Cooper S Countryman ALL4 model is bigger, but it doesn't hurt the vehicle's driving dynamics. It's still a good choice for those looking for a more dynamic driving experience. MINI is all about having more fun while you go about your daily commute or hauling groceries and this model delivers it. The interior is larger and the roomy feeling will surprise you when you sit inside. The cabin offers plenty of flexibility and utility for carrying extra cargo when you need it. With the ALL4 all-wheel-drive system, the Countryman becomes an all-weather vehicle and is a must for those living in cold climates.